CRI Naturals ActBiotics – Does it Work? It is no secret that the abundance of probiotic supplements currently available on the market can be more daunting than helpful when it comes to choosing the right product for you. Even so, knowing some of the most popular such brands and their associated (dis)advantages can help you considerably on this quest towards gastrointestinal health and overall wellbeing. Take, for instance, CRI Naturals ActBiotics, a dietary enhancer which promises to offer you all of the above advantages and even more. But does the name really live up to the commercial hype? CRI Naturals ActBiotics is a probiotic dietary supplement that ‘supports digestive and immune system health’. Each bottle of this product contains 30 vegetarian capsules, namely one month’s worth of regular administration (the recommended dosage being that of 1 capsule/ day, preferably with a meal). The CRI Naturals manufacturer markets its probiotic enhancer as being distinct from other similar products owing to its strain diversity, organic composition, and general health contributions. CRI Naturals ActBiotics also contains vegetable cellulose (for the DRcaps), low moisture rice dextrin, and medium chain triglycerides. The dietary supplement is also marketed as being free from any preservatives, salt, starch, wheat, milk, eggs, shellfish, soy, and gluten, which makes it highly allergen-friendly. The formula for CRI Naturals Act Biotics is equally non-GMO and vegetarian/vegan. How CRI Naturals ActBiotics Works? The purpose of any probiotic supplement is to give your very own intestinal microflora a digestive and immune ‘boost’. The human organism – more specifically, the gastrointestinal tract – is colonized by these ‘friendly’ or ‘good’ microorganisms ever since infancy, when the mother transfers the bacteria to her child via natural birth and breast milk alike. One interesting fact about probiotics is that their initial colonizing patterns not only determine the efficiency of your gastrointestinal functions during the first years of life, but they also set the pattern for your long-term digestive functions. Even so, factors such as stress and a poor eating regime can negatively impact both the number and efficiency of these probiotics, leading to irregular bowel motility, abdominal discomfort, and even an increased chance of developing infections over time. Therefore, the aim of probiotic supplements like CRI Naturals ActBiotics is to restore this natural balance on the inside by providing you with a concentrated probiotic intake from the outside. Your gut normally contains around 1-100 billion CFUs of bacteria on a regular basis, so each serving of CRI Naturals ActBiotics containing 30 billion CFUs of probiotics is definitely enough to potentially make a difference in your G.I. motility rhythms. In addition, CRI Naturals ActBiotics is based on a slow-release technology called DRcaps, which only releases the probiotic colonies 45 minutes after you have taken the capsule. This translates into better protection against bile and stomach acids for the bacteria, as well as an increased potential for them to successfully adhere to the intestinal lining and create long-lasting colonies within the economy of your body’s own microflora. What are the ingredients of CRI Naturals ActBiotics? Bacillus Coagulans – is a sporulating probiotic component usually employed to relieve abdominal discomfort and restore the gut’s normal motility patterns. As a result, these properties make it ideal for the management of IBS (Irritable Bowel Syndrome), as well as in the case of diarrhea caused by prolonged treatment with antibiotics. Bacillus Coagulans reduces internal inflammation, while also eliminating symptoms such as bloating, gas, distention, cramping, etc. Bacillus Subtilis – represents a probiotic that can be found both in the G.I tract of mammals and in certain soils. Bacillus subtilis has been employed in the past to boost the organism’s natural fermentative capacities, as well as act as an antiseptic ‘helper’ for immunity screening in humans. Bifidobacterium Breve – this Bifidobacterium genus member can be used to both restore gastrointestinal wellness and protect the urogenital system against infections of various kinds. The antibacterial properties of Bifidobacterium breve mean that this ‘friendly’ bacterium can fight off Candida albicans overgrowths, for instance, while also facilitating digestive and nutrient assimilation processes. Bifidobacterium Lactis – as the name suggests, this probiotic has the capacity to transform the lactose present in milk into lactic acid, a substance which is much more easily managed by the gut (for instance, in the case of lactose intolerance). In addition, it can increase your immune response to various ‘bad’ bacteria over time. Bifidobacterium Longum – is transmitted from the mother to the infant during birth, therefore contributing substantially to the child’s initial probiotic colonies. With time, these numbers decrease, which is why supplementation is often required in order to obtain the same digestive and immune boosting benefits. Lactobacillus Acidophilus – arguably one of the most easily recognizable probiotic names, Lactobacillus acidophilus is frequently used as a starter culture in the making of natural yogurts and cheeses. Its fermentative qualities then translate into better lactose tolerance and digestive functionality inside the human body, as well as improved protection against airborne or ingested pathogens. Lactobacillus Casei – is a more ‘aggressive’ probiotic strain, in the sense that it can compete with other ‘good’ bacteria for space and nutrients when inside the gut. Nevertheless, Lactobacillus casei exhibits a number of gastrointestinal advantages, including digestive melioration, immunity enhancement, and mood regulation. Lactobacillus Paracasei – this ‘good’ bacterium has demonstrated a wide array of positive health employments in the past, the most notable being its ability to restore abdominal comfort and balance out digestion in the case of diarrhea episodes (particularly in children and infants). Additionally, Lactobacillus paracasei can be utilized to better manage the symptoms normally associated with CFS (Chronic Fatigue Syndrome) or pollen allergies, for example. Lactobacillus Rhamnosus – is a probiotic microorganism linked to the reduction of gastrointestinal inflammation and irritability, alongside increased control over infections caused by diverse pathogens inside the human body. Lactobacillus rhamnosus also facilitates digestive functions by promoting lactose tolerance and correct nutrient absorption. Lactobacillus Salivarius – is a probiotic that can be found all throughout the gastrointestinal tract, beginning with the mouth and continuing with the stomach, small intestines or colon. Lactobacillus salivarius hence improves digestion, meliorates immune screening, and is a great addition for the long-term management of IBS symptoms. Allergen-friendly – as previously pointed out, CRI Naturals ActBiotics does not contain any preservatives, salt, starch, wheat, milk, eggs, shellfish, soy, and gluten. This particular choice of eliminating ingredients which might otherwise pose a serious health hazard for those who suffer from sensitivity or allergies towards them is a great bonus for this supplement, more so since other similar products will most likely have at least traces of these notorious allergens in their composition. Easy administration process – on the one hand, CRI Naturals ActBiotics is simple to use because you only have to take 1 capsule each day, either on an empty stomach or between meals. This single serving regime is thus helpful for those who experience a hectic lifestyle and cannot keep up with an administration schedule that involves multiple servings at different times of the day. On the other hand, the capsules themselves are easy to swallow, something which comes in very handy for those who otherwise have a hard time getting down pills of various shapes and sizes. Organic formula – as stated before, CRI Naturals ActBiotics relies more on its probiotic content and less on what would be called ‘filler’ ingredients. Aside from the ‘good’ bacteria count, this supplement’s capsules only contain vegetable cellulose (for the DRcaps), low moisture rice dextrin, and medium chain triglycerides. Furthermore, there are no preservatives, GMOs, or potentially allergenic ingredients in the formula either. An extra advantage is that CRI Naturals Act Biotics can be used by people who are vegetarian or vegan as well. Slow-release technology – CRI Naturals Act Biotics is based on a technology which allows the capsules to travel the G.I. 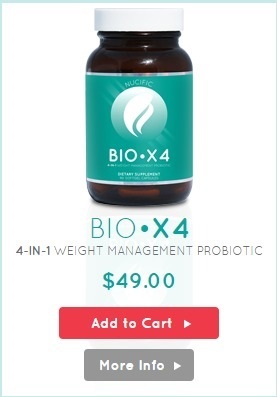 system intact and only then dissolve in order to release the probiotic components. This 45-minutes delay is owed to the DRcaps patent, which allows the ‘good’ bacteria to reach the intestinal tract safely and in a viable state. Once here, the probiotics can adhere to the mucosal lining and create colonies of their own, without the threat of strong gastric acids or bile destroying them in the process. No side effects – the vast majority of CRI Naturals Act Biotics reviewers agreed that this dietary supplement does not result in any side effects either at the beginning of the administration period or throughout its course. This is especially interesting and welcomed since most similar products do cause anything from mild digestive issues to severe abdominal discomfort. Such a situation usually occurs because of the internal gut balance being disturbed by the arrival of the ‘new’ bacteria. Good customer guarantee – this feature might vary depending on your outlet of choice for CRI Naturals ActBiotics, but the original manufacturer offer is that of a 90-day money back guarantee. This means that, if you are dissatisfied with your probiotic experience in any way, then you can return the rest of the supplement to the company and receive a full refund within 90 days of your initial order. Too many probiotic types – having a diverse selection of probiotic strains is undoubtedly a good aspect to look for in any good quality supplement, but going ‘overboard’ with the number of such strains can turn out to have a negative impact instead. For CRI Naturals Act Biotics, the 10 different probiotic strains are so many that they can end up competing with each other for food and colony space. As a consequence, you might end up experiencing more side effects (bloating, gas, nausea, etc.) 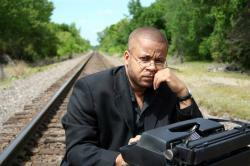 than beneficial aspects, especially if you have a more sensitive G.I. tract. Problematic strains – from the 10 different probiotic strains in the CRI Naturals ActBiotics blend, 2 stands out as particularly problematic. The first is Bacillus coagulans: because it is a sporulating bacteria, it can end up ‘travelling’ inside the body and causing various illnesses (more so for those who have a weakened immune system). Secondly, Lactobacillus casei has been shown to be a more ‘violent’ probiotic when it comes to securing nutrients and colony space. While both probiotics are considered to be generally safe for human consumption, caution is indeed advised. Very expensive – most online retailers sell CRI Naturals ActBiotics at an average price of $45 (if you include shipping). The result is that each probiotic capsule will end up amounting to around $1.5, which is more than double the normal price you should expect to pay for a decent probiotic supplement per day (~$0.69-$0.70). Although you might be lucky to come across certain deals and offers for multiple bottles ordered at a time, the bottom line is that CRI Naturals Act Biotics is an expensive supplement when compared to other similar products. 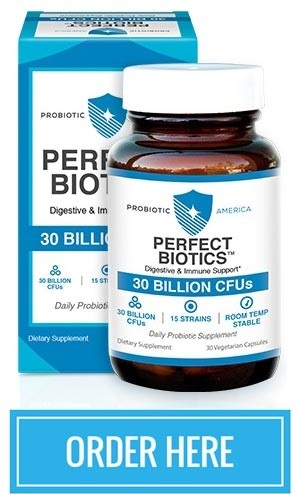 The overall conclusion that can be drawn with regards to CRI Naturals Act Biotics is that this probiotic supplement manages to assert itself as a slightly above average product in the category of dietary enhancers aimed at gastrointestinal wellbeing. While it might have a few disadvantages (too many strains, questionable probiotic usage, excessive pricing, etc. ), CRI Naturals ActBiotics does impress through its accessible administration regime, slow-release patented formula, allergen-friendly composition, and great manufacturer guarantee. All in all, CRI Naturals ActBiotics appears to be an interesting and worthwhile probiotic supplement. But it is only up to you to decide whether this enhancer deserves your time, money, and attention. So give it a try and let us know whether your experience was a ‘thumbs up’ or ‘thumbs down’ one! Be the first to comment on "CRI Naturals ActBiotics Review"